When you roll up and your local slab is well over-head, what are you going to do? Grab your step-up board and get pitted, duh! We’re not fans of naming Great Lakes surf breaks on the internet, so we’ll venture to guess you’ve figured out which break this board is made for, specifically when its over-head and jacking. Having a Stoney Stepup in your quiver means you won’t find yourself under-gunned when you roll up to find The Point well over-head. Step-ups have become popular in recent years for surfers who want to charge big hollow waves on a board that is under 7′. 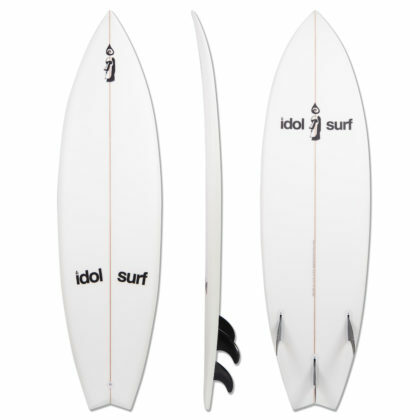 The idol surf Stoney Stepup is a freshwater step-up surfboard that combines a high-performance outline with heaps of volume to ensure you can get into the wave, make the drop, and hold the pocket on the biggest days of the year. The board packs a lot of foam volume (34.5 liters) into a more compact package (6’5″ x 20″ x 2 9/16″) than most “big wave boards”. 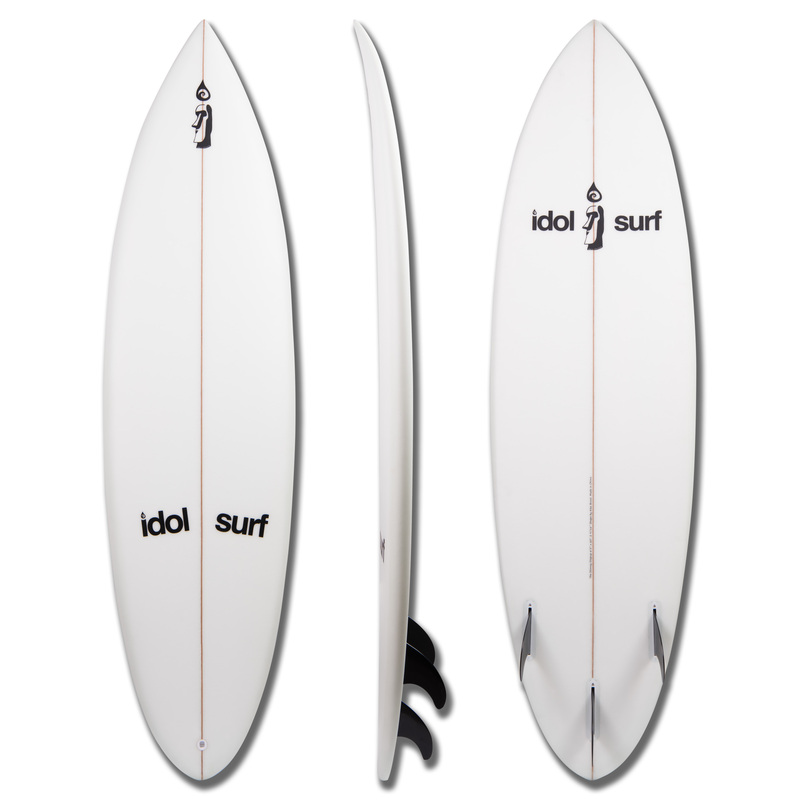 The high-performance outline has a wide point well towards the front of the board. This allows more foam under the chest for paddling and a longer rail in the bottom half for more drawn-out turns. 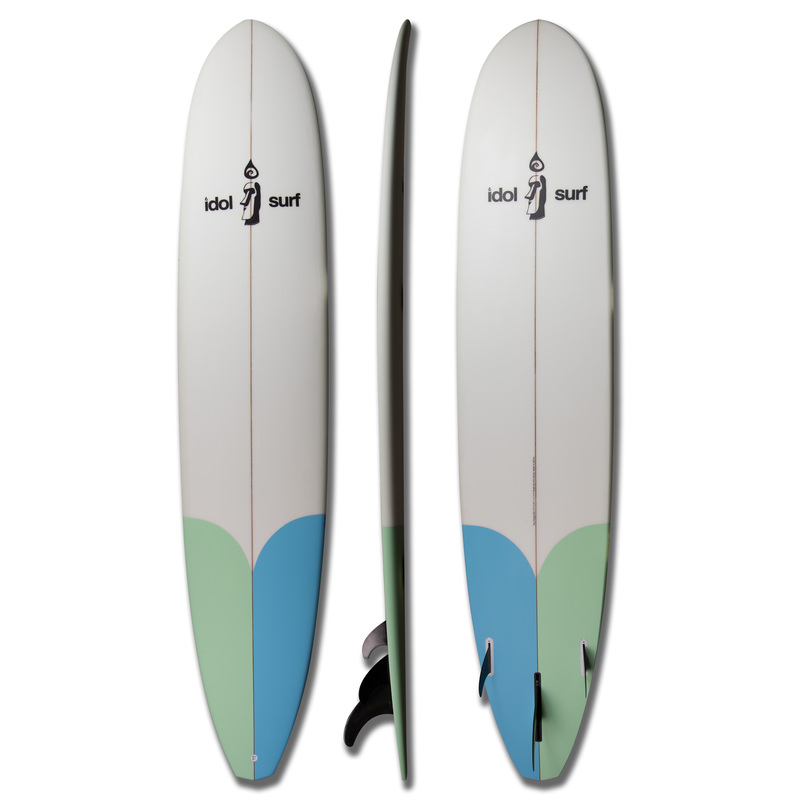 The rounded-pin tail allows a quick transition from rail-to-rail and holds the board tight in the pocket. The rocker is more aggressive with plenty of nose-flip for steeper drops and a deeper continuous rocker continues through the tail for big sweeping turns. The thick and wide shape also lends itself well to beginner short-boarders who want a little more volume underneath for ease of paddle and stability. An extra lightweight EPS foam core is over-glassed with two layers of 6oz fiberglass per side. The combination of the lightweight core and thicker glassing schedule make this board extremely durable, yet lightweight and high-performance. Futures Fins thruster setup. Basic fins included.